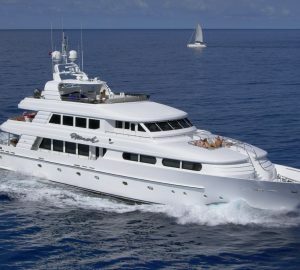 YOLY was built by Cheoy Lee in 1999 and measures 28m (92ft). 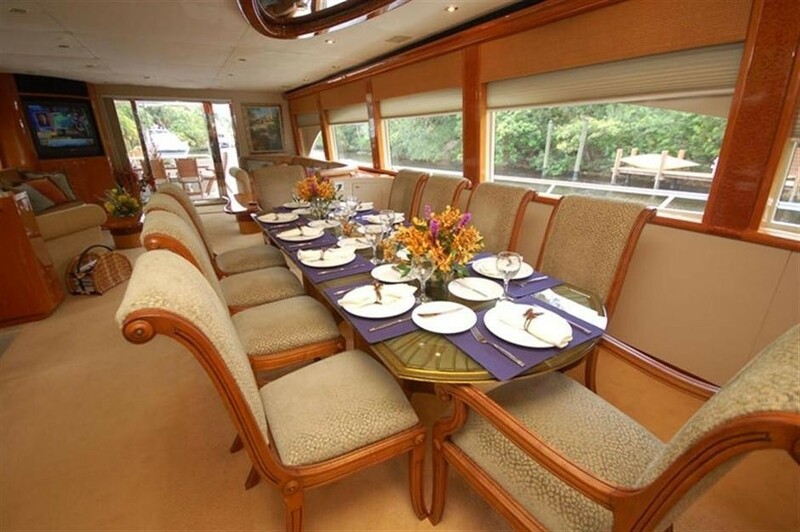 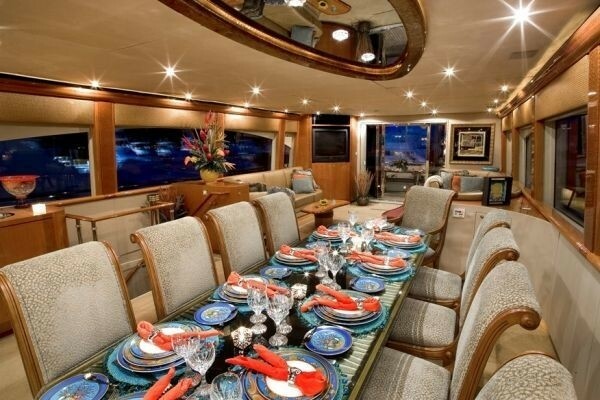 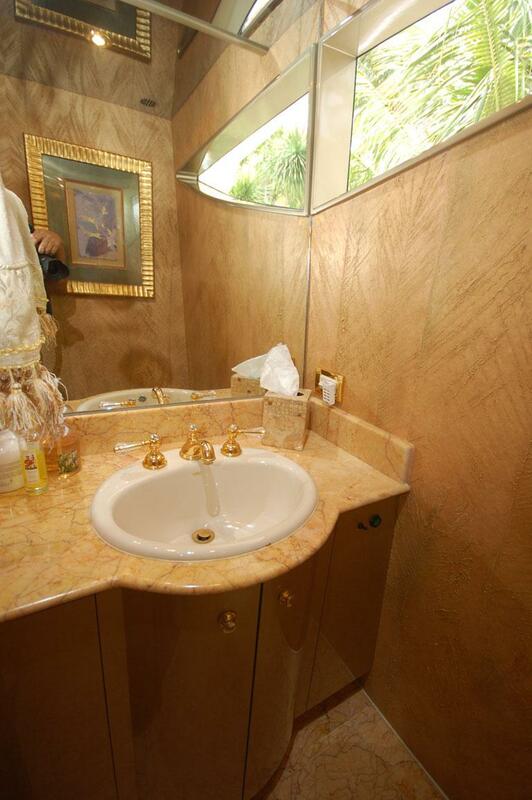 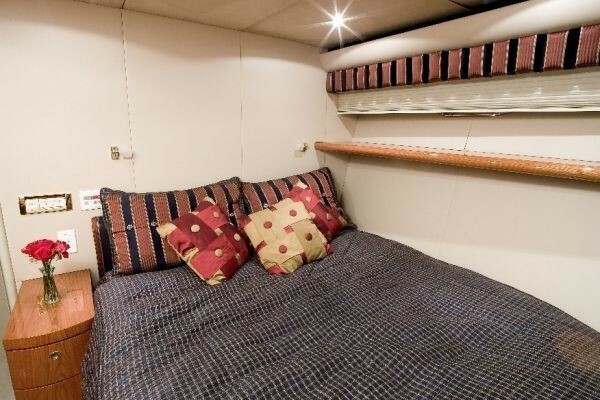 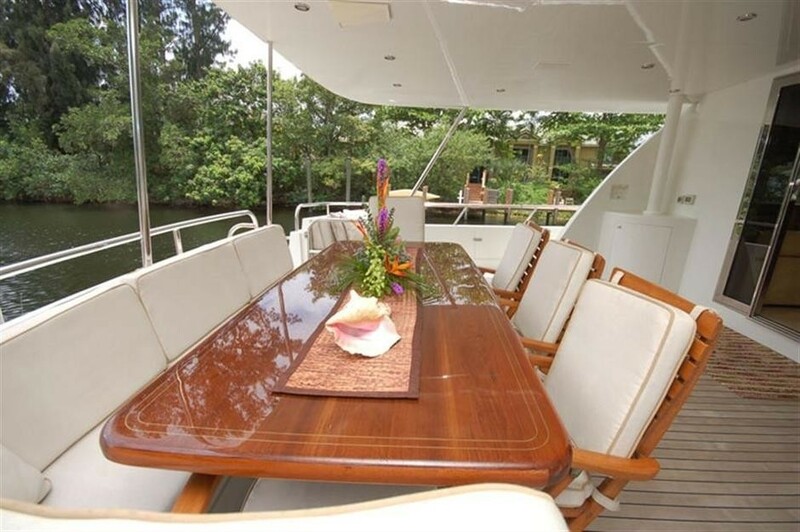 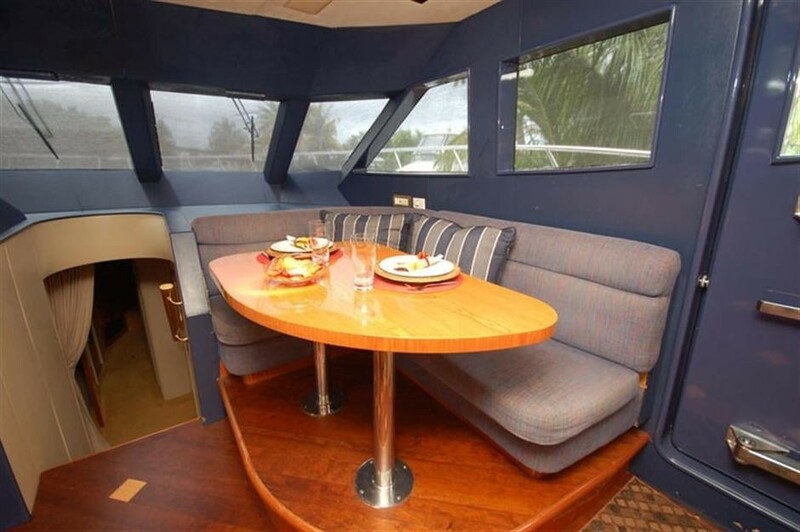 She accommodates 8 guests in 4 cabins. 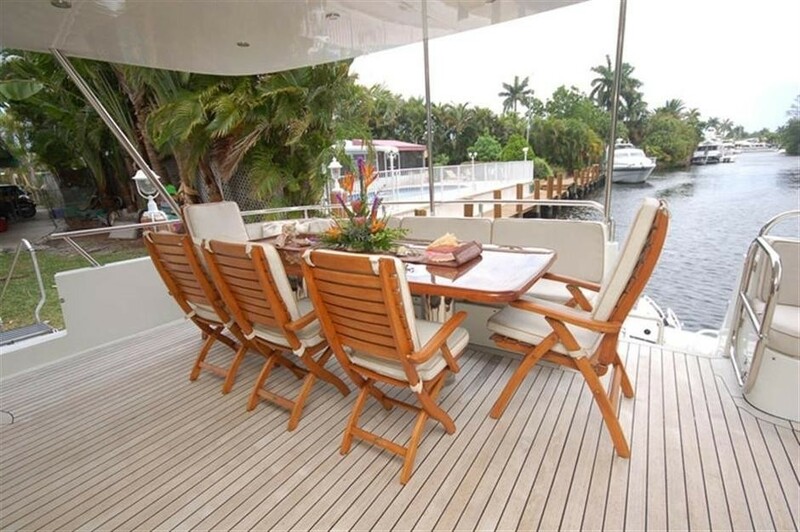 NOTABLE FEATURES: Very bright salon ~ Ample deck space ~ Shaded alfresco dining option ~ Large swim platform ~ Plenty of lounge space on the Fly Bridge ~ Fabulous array of water toys. 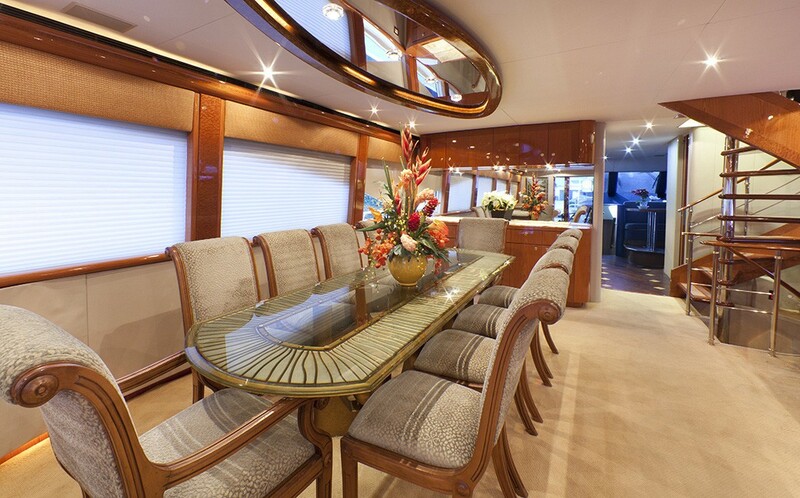 YOLY has a tasteful and warm interior, the salon and dining area are an open plan with oversized lateral windows allowing for plenty of natural light and pleasurable views; forward is a large glass formal dining table with soft upholstered chairs, the salon has 2 generous leather and faux suede settees. 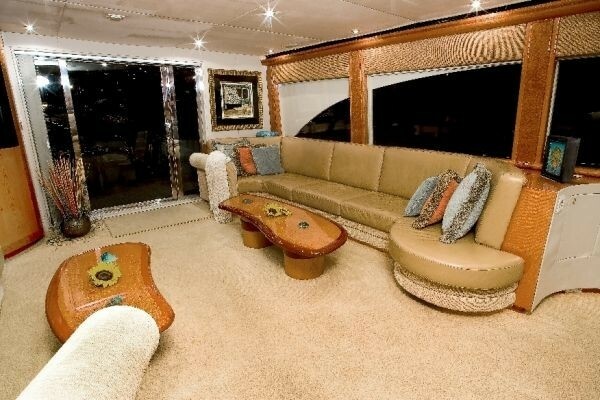 The area is fully carpeted and surrounded in medium toned high gloss wood. 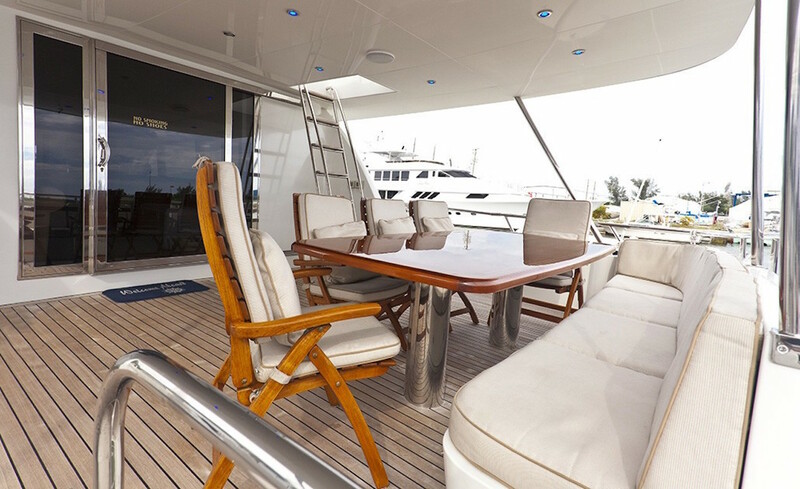 She offers ample deck space too, the aft deck is open yet shaded and directly accessed through from the salon, featuring an alfresco dining option and aft seating, beyond this the large swim platform is ideal for water activities. 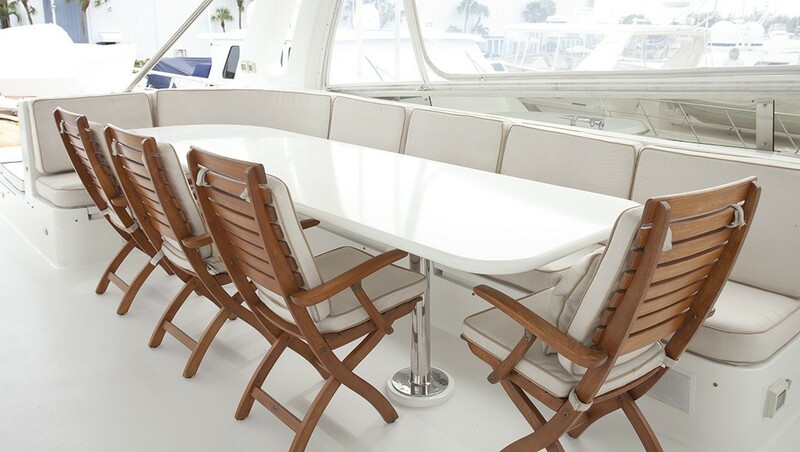 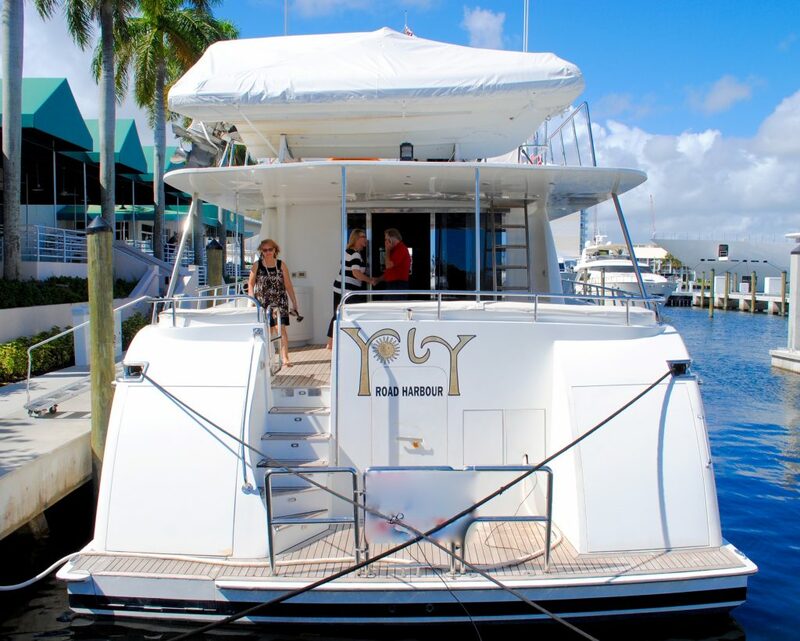 YOLY has an additional alfresco dining option on the fly bridge as well as plenty of lounge space, accessible from the salon or the aft deck. 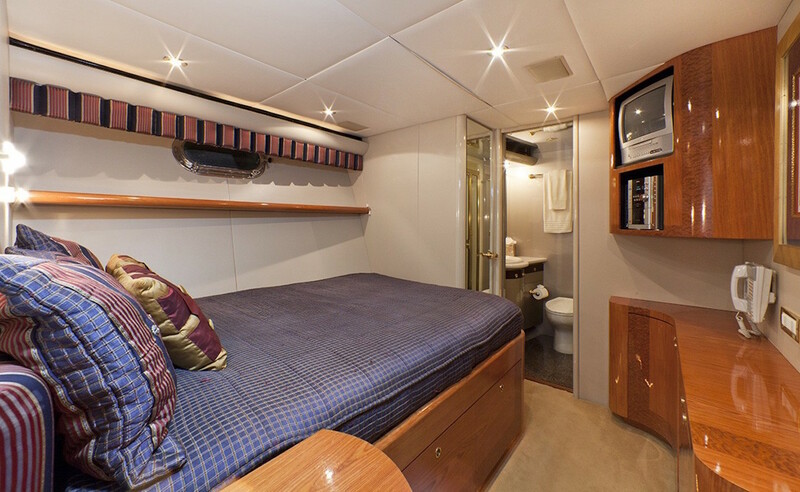 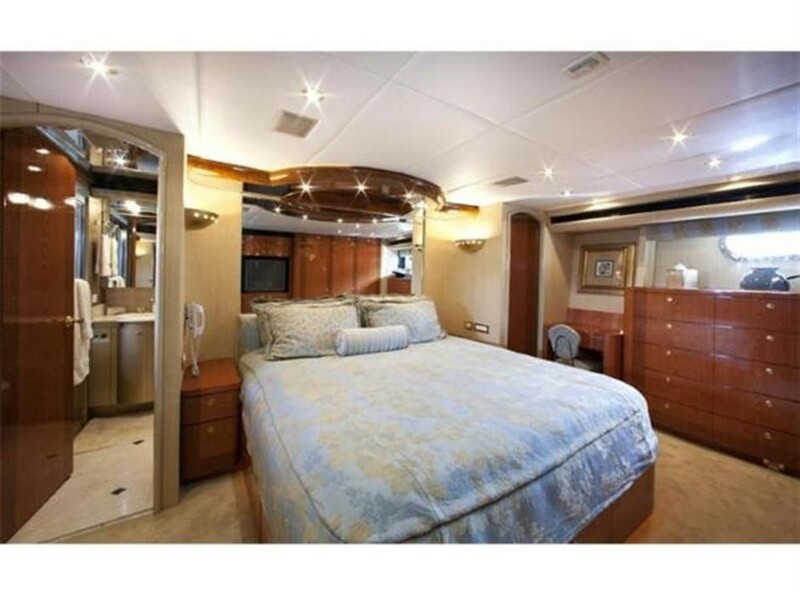 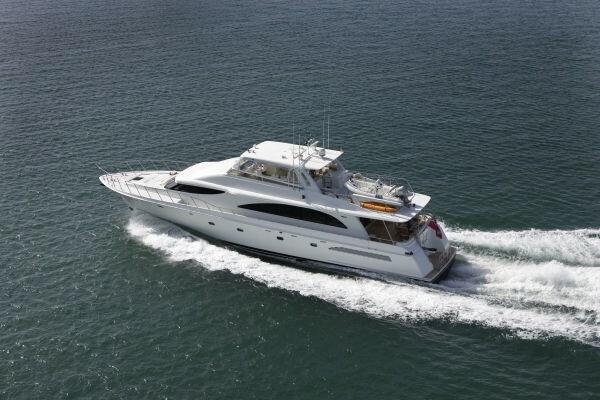 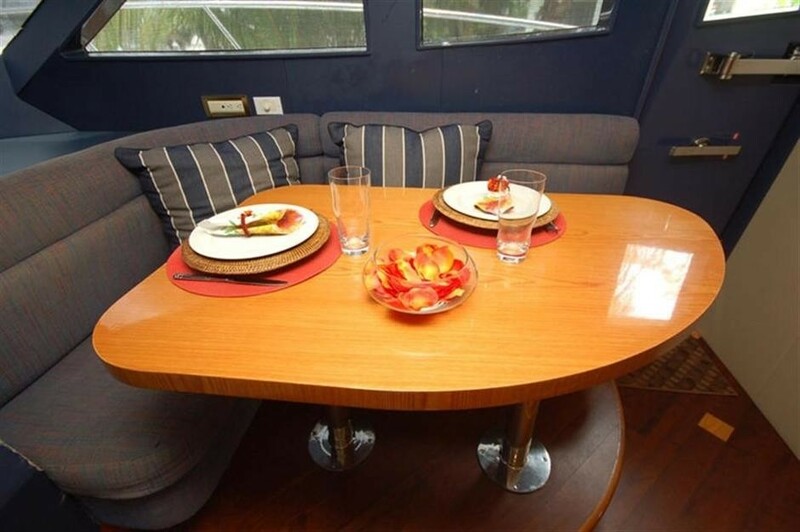 YOLY can accommodate 8 guests in 4 cabins, the master cabin has a king size bed, his and hers ensuite bathroom which includes a shower and Spa Pool Tub. 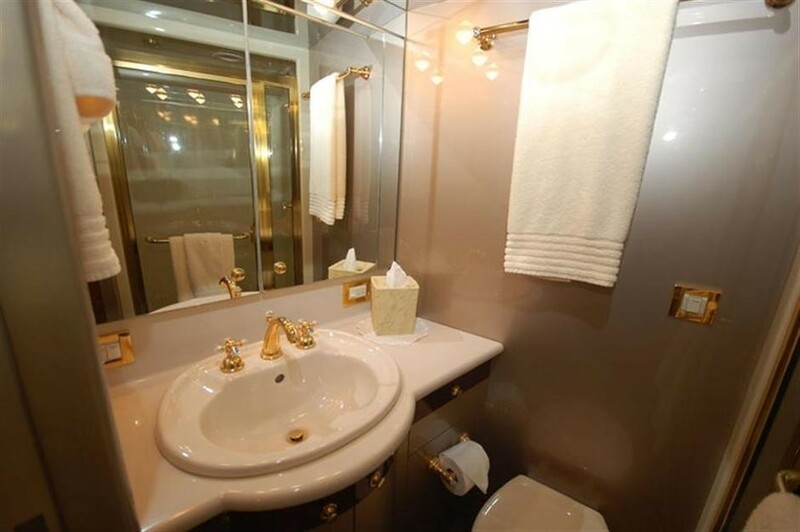 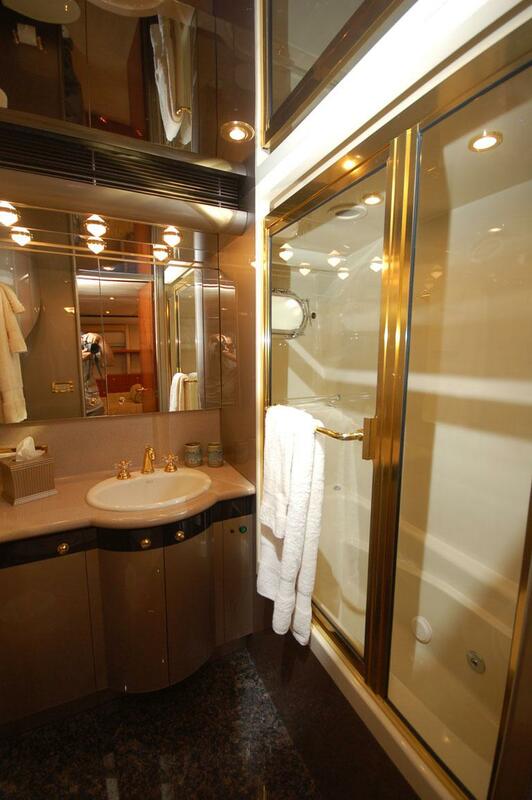 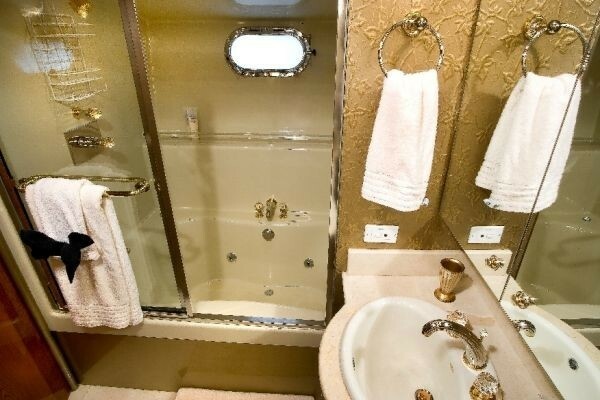 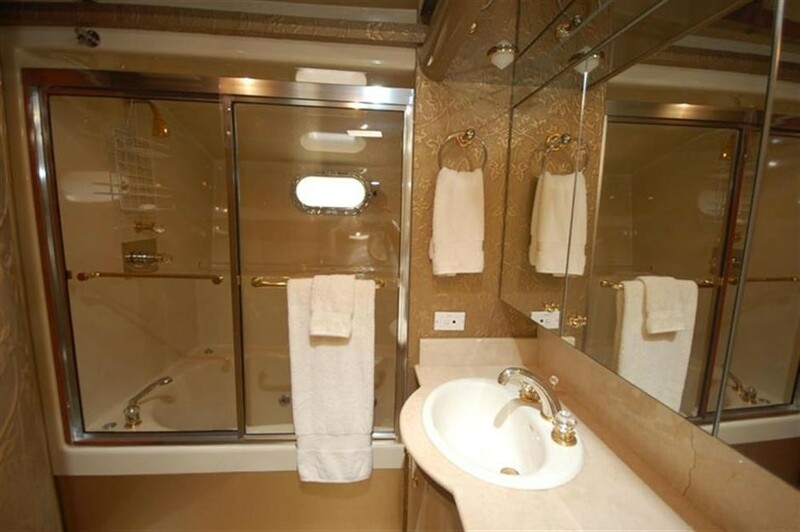 The VIP cabin is amid ships with a queen size bed and ensuite facilities plus Spa Pool tub and shower. 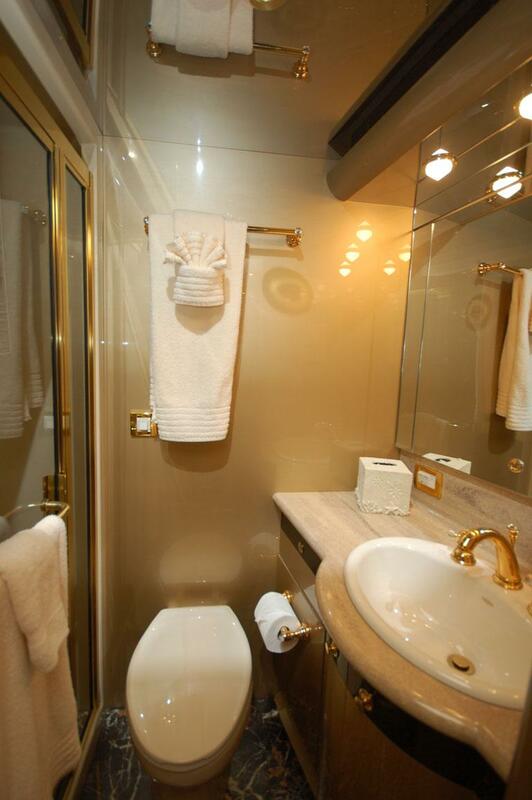 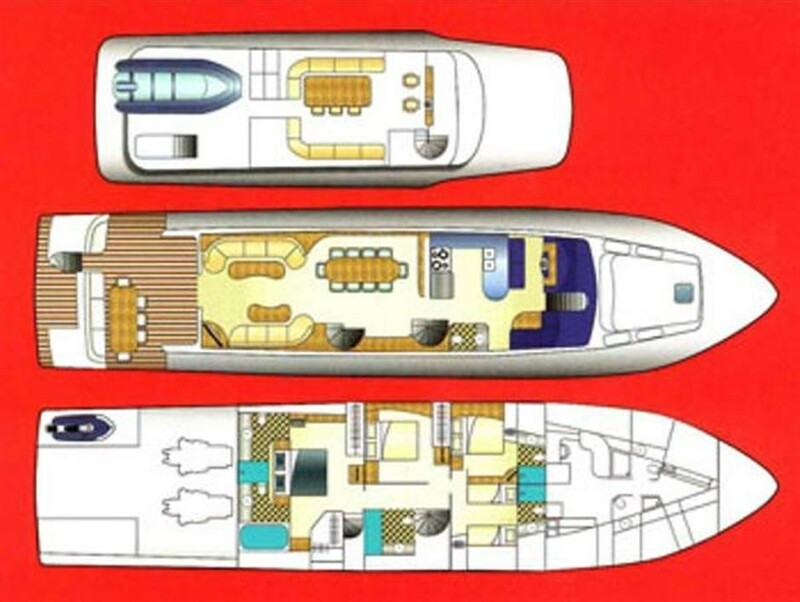 There is a further double and twin cabin, both with ensuites bathrooms. 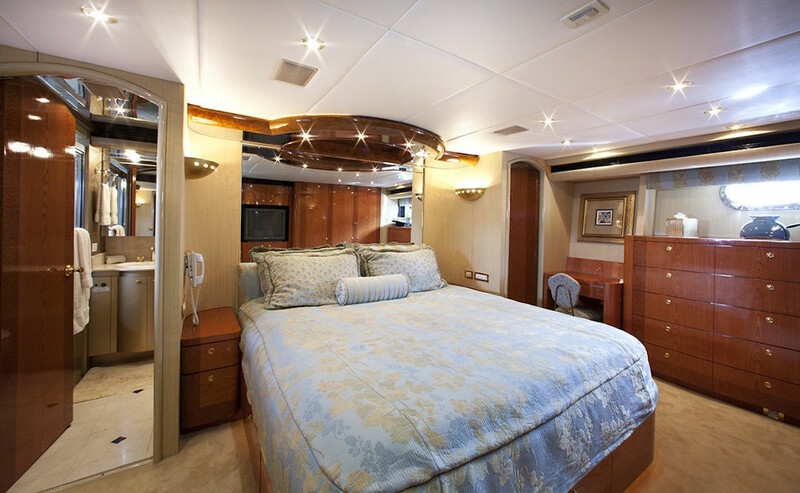 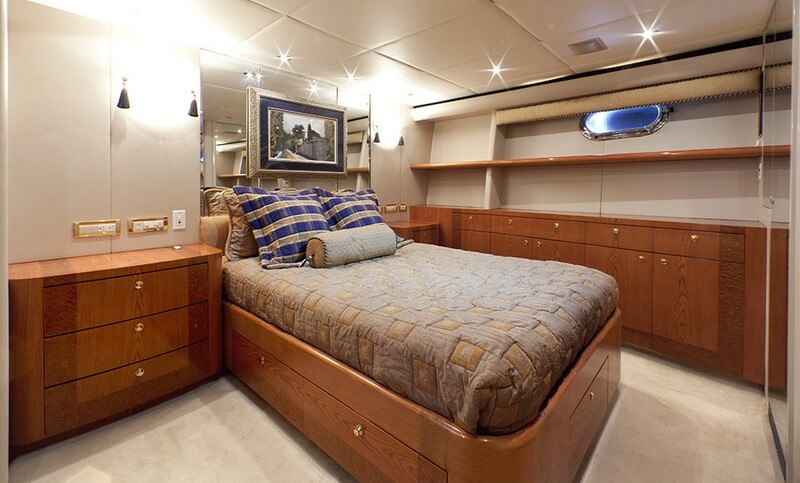 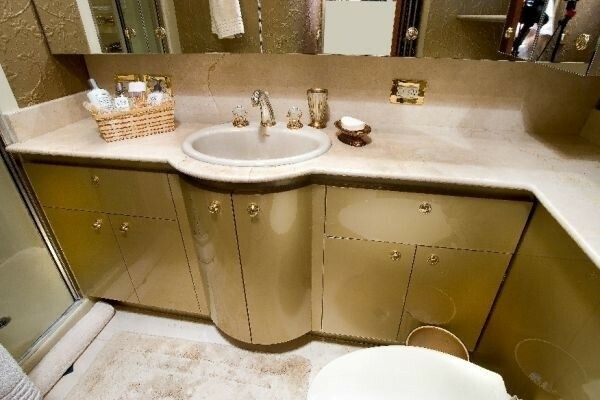 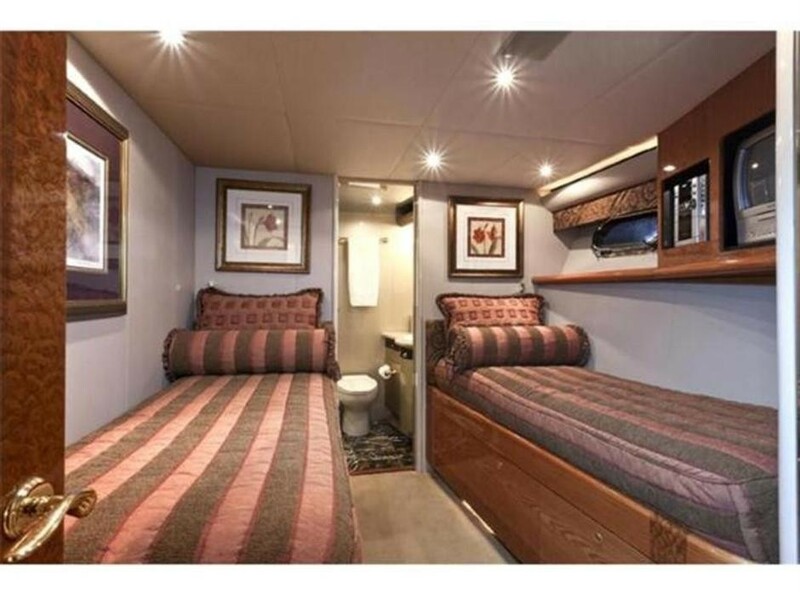 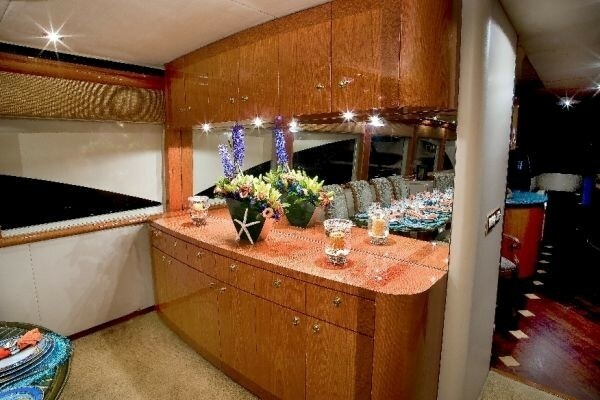 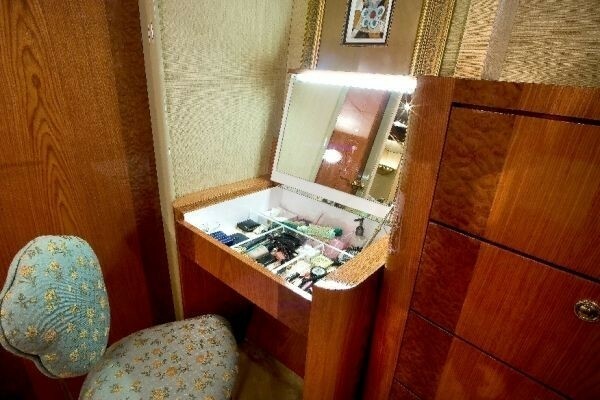 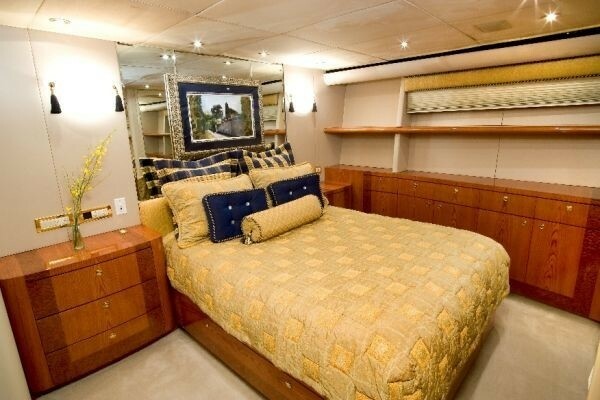 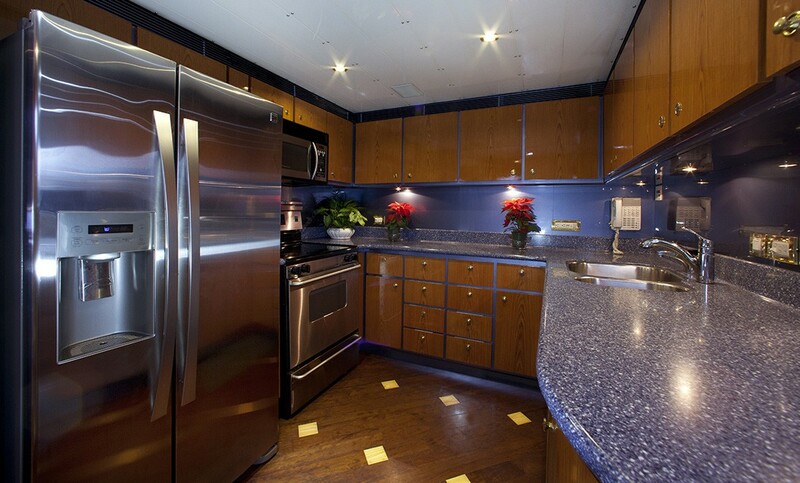 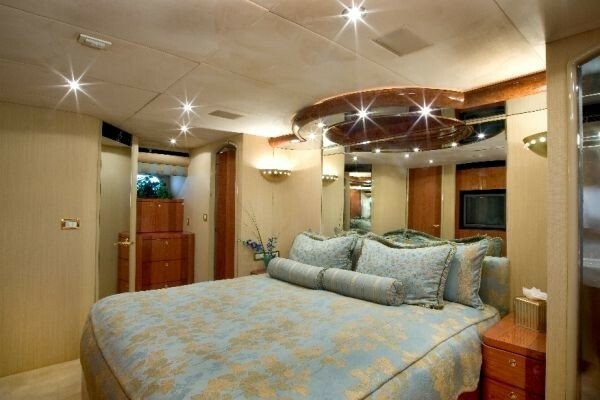 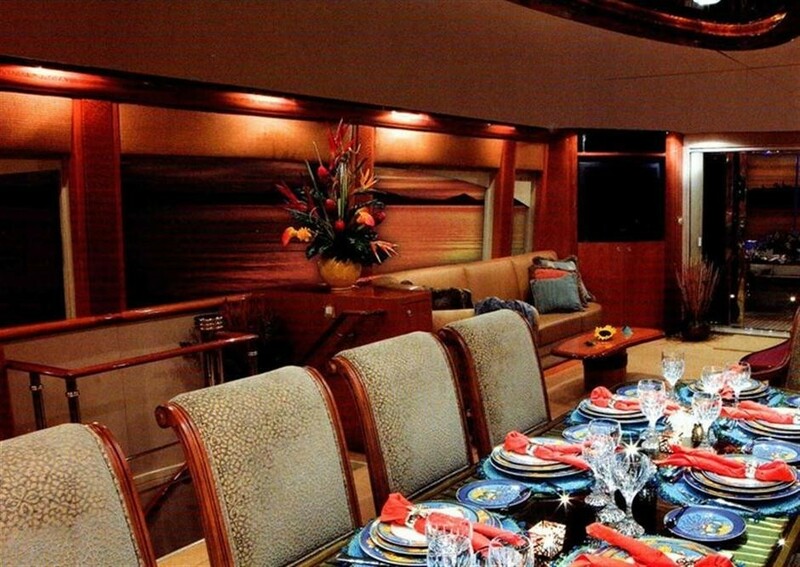 All cabins have a tasteful décor of light panels and high gloss wood with soft carpeting throughout. 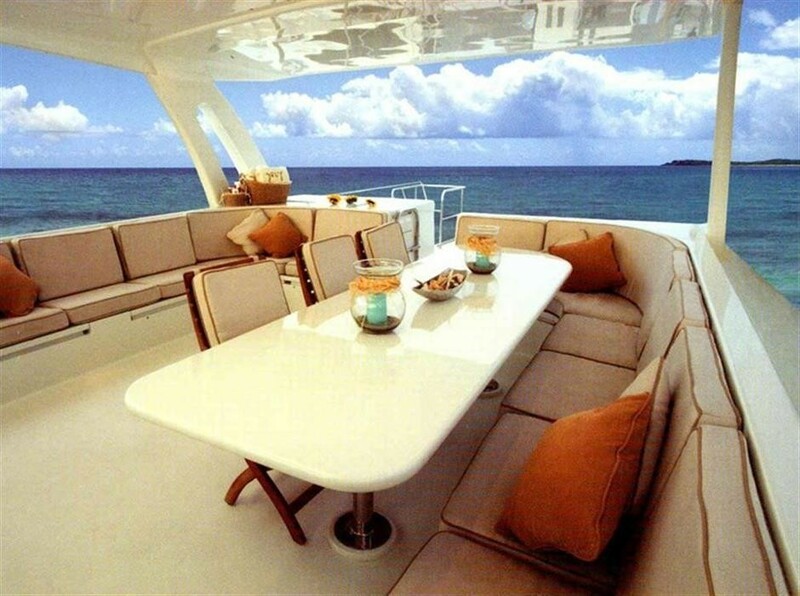 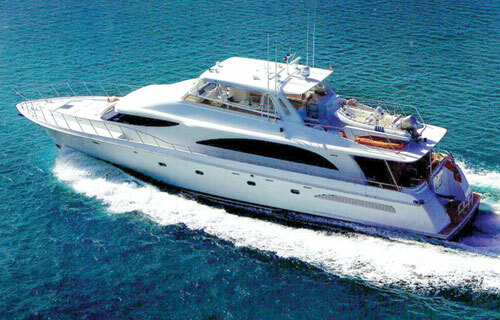 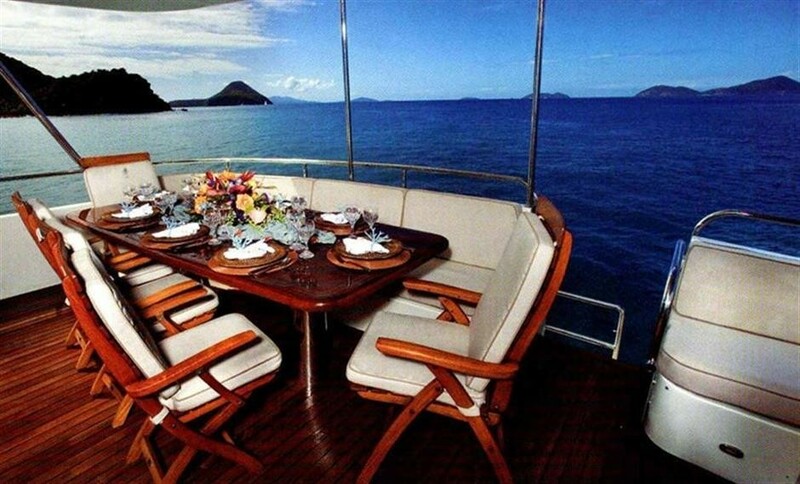 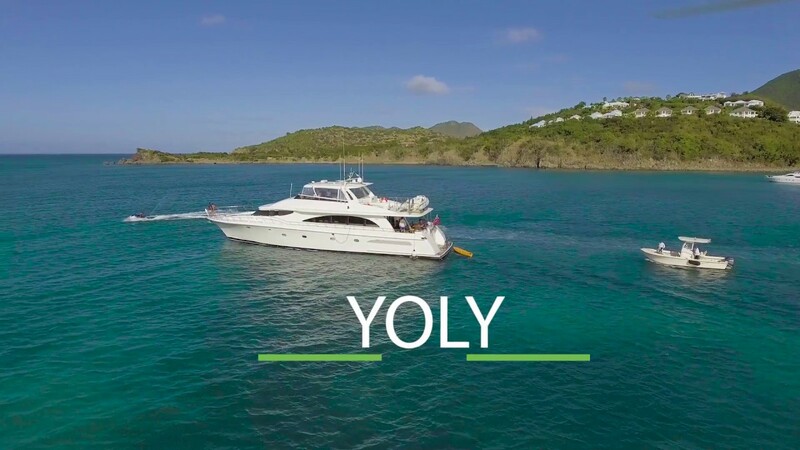 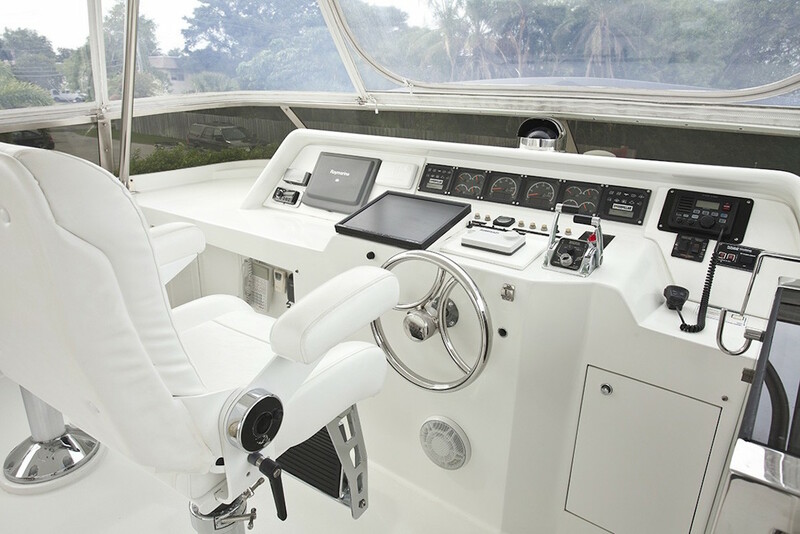 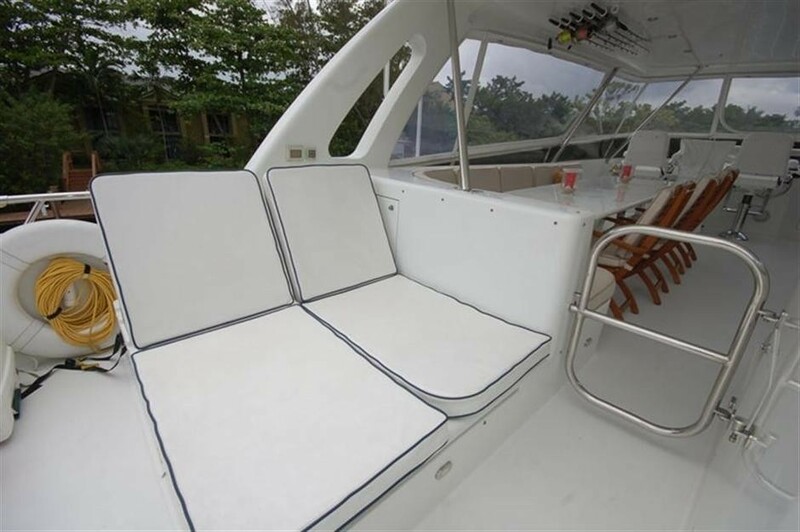 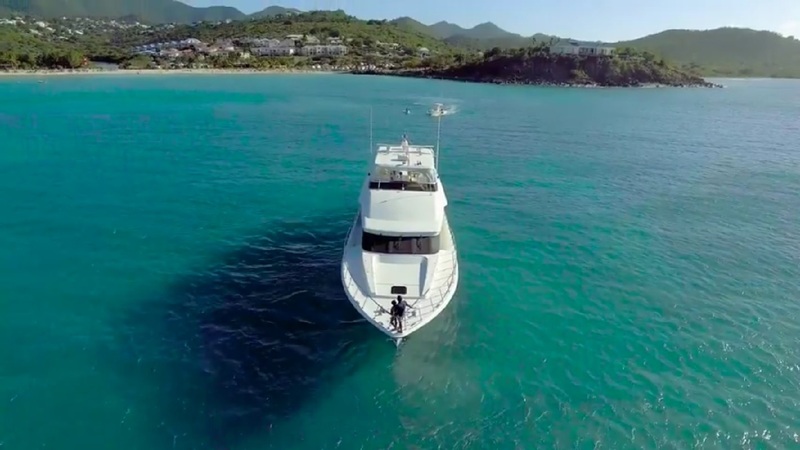 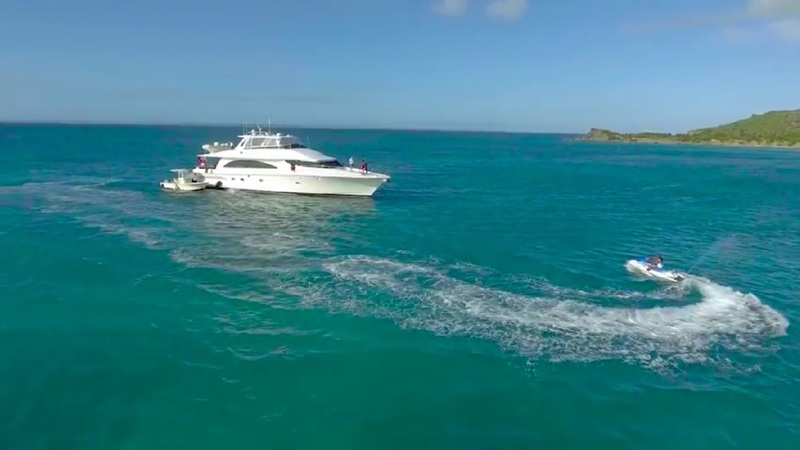 The YOLY motor yacht is well equipped and offers an array of fabulous water toys and amenities which include: a 23ft power boat with 250hp engine, 16ft tender with 90hp engine, 1 jet ski, towing tube, banana, water skis, wakeboard, snorkel gear large selection of fishing equipment, the yacht also offers rendezvous diving. 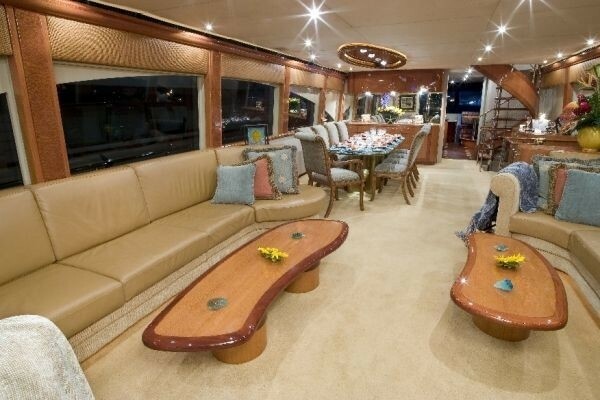 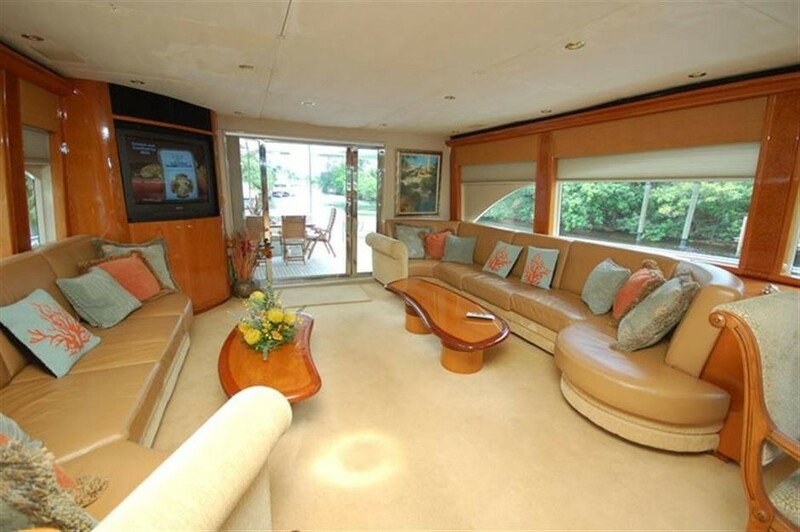 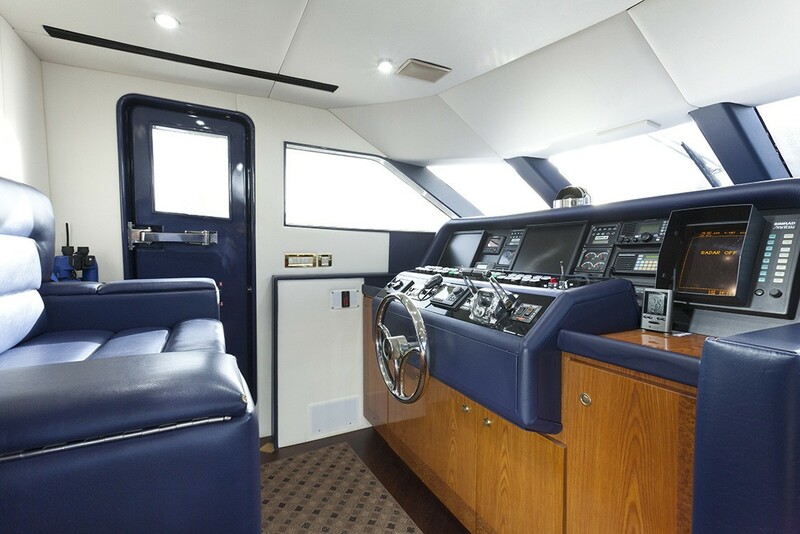 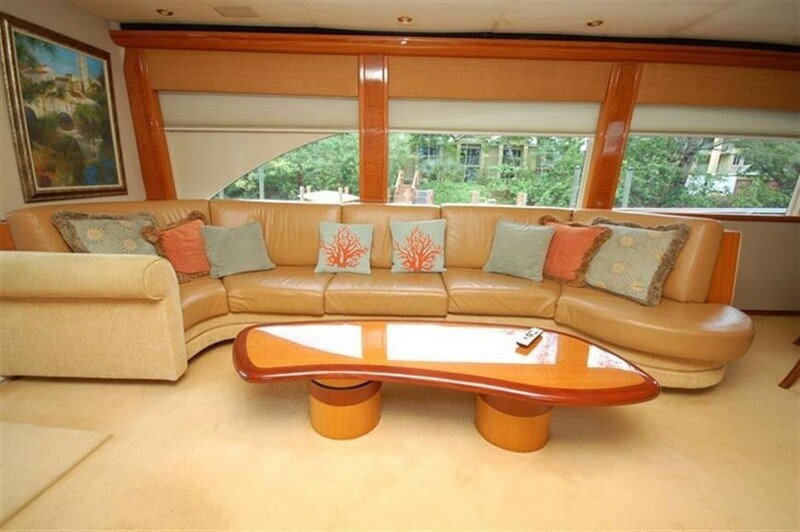 The salon, master cabin and VIP cabin are fitted with TV / DVD.